turntable design once known as phonographs, uses a rotating disc to recreate sound. invented in 1877 by thomas edison, vinyl records are now used by DJs and artists to return to classics sounds of the 1980s. 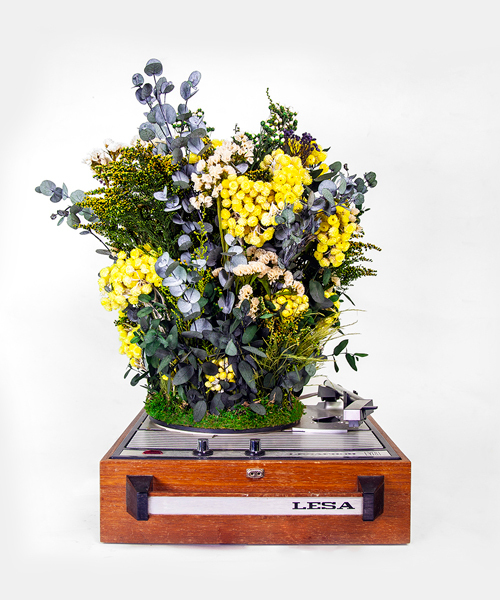 these vintage turntables still spin, but instead of projecting gershwin's rhapsody in blue, they simply turn a botanical world around and around. audio deva returns, this time to honor the renaissance of the analog experience. 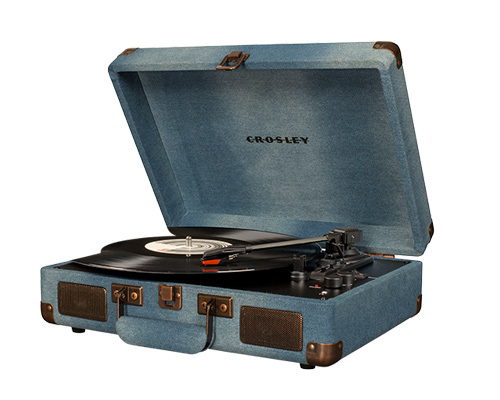 the brand updated its iconic suitcase-style turntable with a new range of finishes including denim, lavender, tourmaline, herringbone and teal. the artists gathered in a studio in tokyo to scratch, splice, and remix an old classic in this historical moment in music. 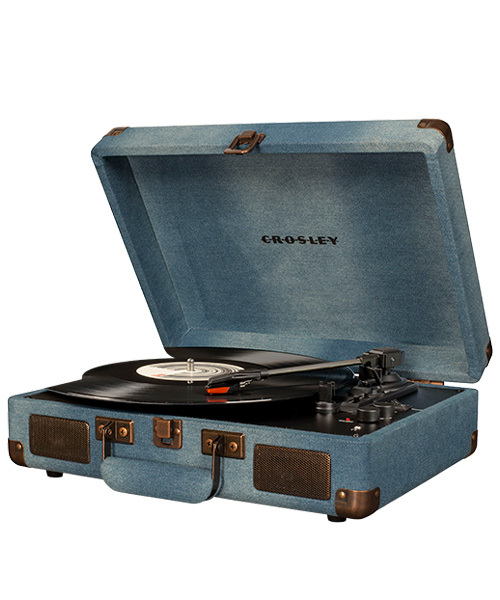 driven via Micro USB, the nifty spinbox cardboard record player can easily switch from 33 to 45 to 78 RPM and plays 7-inch, 10-inch, and 12-inch singles. the all-in-one, multi-functional system makes enjoying music relaxing, effortless and accessible for everyone, no matter what decade’s genre gets you dancing. designed by yves béhar, the sculptural turntable is capturing imaginations with its unorthodox playing style - literally putting a spin on vinyl. los angeles-based technology company orangmonkie has now made capturing glossy 360° accessible to everyone, from seasoned shutterbugs to smartphone owners. 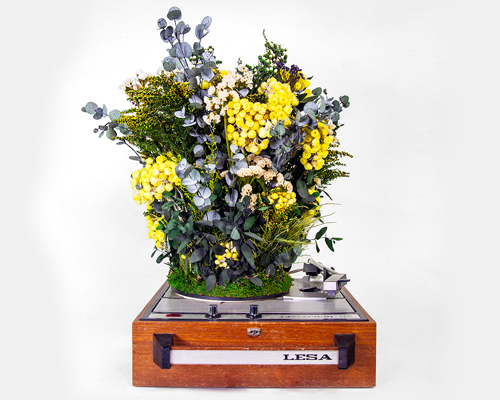 the mag-lev audio first levitating turntable visually enhances the experience of listening to vinyl records by levitating the platter, creating a turntable of the future for the medium of the past. with a height of only 6.5 centimetres, this retro product incorporates all of its technological functions within a sleek minimal design. we spoke to paolo caviglia about his audio equipment experience, the issues of vibration reduction and why his design prevents bending. the slice of solid ash features a weighty glass platter and adjustable stainless steel spike legs for spinning your favourite tunes. the single is the first piece of the music the group has released after three years in a very limited edition made from frozen distilled water - able to be played on a regular turntable. designer michael hansen has created vinyl records imprinted with successive frames of imagery, thus becoming an animation to accompany the music when played on a turntable. developed by interaction artist toshiyuki sugai to encourage bike sharing practices in japan, three add-on pieces convert bicycles into DJ consoles, permitting live-mixing by riding, jumping, and performing stunts.